Garbage disposals are very convenient and are typically used daily in most households. Over time, these units will start to show signs that they need to be repaired. 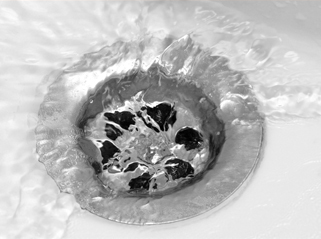 We highly recommend that you stop using your disposal when it becomes clogged with debris. If your disposal does become blocked, it is highly possible that you could damage your disposal by burning out the motor if you continue to use your unit when it has become clogged. Generally, a professional garbage disposal repair Queen Creek, AZ will fix the problem, why is why we suggest that you give us a call. Our technicians are well trained and will do the job right. One of the most common signs of a problem is leaking water. Typically, this is an indication that your disposal needs repairing. If you see excess water coming from the disposal, we urge you to contact us right away to correct the problem. Standing water can cause mold and bacteria to grow which is not good for your overall health. Another sign to look for are loud noises sounds when you turn the unit on. In many cases, loud sounds mean that the blades are bent or broken, which will prevent the disposal from working properly. If you hear loud sounds, a professional garbage disposal repair will most likely be needed. We have been in existence for years and offer first-rate services that will not be beat and that can be trusted. Our reputable and experienced plumbing company will not be outdone. If you want top quality and efficient garbage disposal repair Queen Creek, AZ services, we advise you to contact us today. Our trained and skilled technicians know what they are doing. If you are seeking top quality plumbing services that will are unmatched and that will not be duplicated, we guarantee that provide the most reliable services in the region.